Noticed any differences when using Google’s (s GOOG) Hangouts video chat lately? If you did, then you may be one of the lucky users who has already received an upgrade to 720p HD video. The company quietly started to roll out HD for Hangouts to a subset of its users in the last few weeks and hopes to complete the rollout soon. But the change isn’t just a quality upgrade – it’s part of a bigger move towards open standards that will eventually bring us video chat in the browser without the need for any plugins. To enable HD, and prepare for this plugin-free future, Google quietly started to transition Hangouts from the H.264 video codec to VP8, an open and royalty-free video codec the company released back in 2010. Google’s Vice President of Engineering Chee Chew told me during a recent interview that the switchover from H.264 to VP8 should be more or less invisible to consumers, with some possibly noticing a little less choppiness. “It will be cleaner, better video,” Chew said. One of the key advantages of VP8 is that it will enable Hangouts in HD, something that Chew said simply wasn’t possible with H.264, because handling HD streams from 10 participants would have required too much processing power. The new video format also makes it possible for Google to serve up better-looking streams at low bit rates, which is especially important when it comes to mobile video chats. But the move to VP8 isn’t just about looks. It’s also a first step towards letting users video chat in the browser without the need for any plugins, thanks to an emerging standard for real-time audio and video communication called WebRTC. Google has been a big proponent of WebRTC, and integrated it into the desktop and Android versions of its Chrome browser. The company hinted at plans to utilize WebRTC for Hangouts when it launched the video chat platform two years ago. So what took Google so long? Chew told me that the Hangouts team first concentrated on optimizing the experience for end users, and that the standard had to mature. But there were also less obvious problems that have so far prevented Google from fully embracing WebRTC for Hangouts. Yes, we are talking about birthday hats, scuba glasses and cat whiskers. 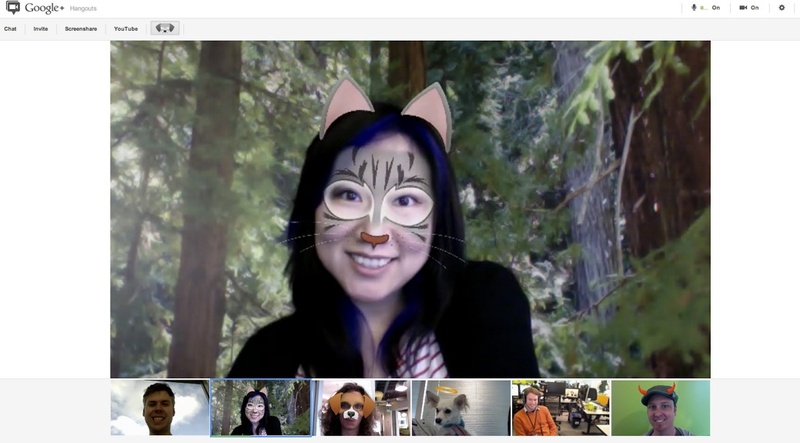 Hangouts have for some time offered users the ability to apply silly effects to their video chats. These effects, which use facial recognition to make sure that the cartoon birthday hat is actually on top of your head, are rendered on the sender’s client side, and there’s currently no easy way to do this with WebRTC. “We will eventually move over to WebRTC,” said Chew, but this process may take several more months. However, eventually, WebRTC could actually provide an even more immersive video chat experience, explained Chew. That’s because when the video becomes a native HTML element, it will be even easier to add overlays and other, more subtle improvements. One of the more immediate consequences of the switch-over to VP8 is that Google is phasing out the use of third-party code provided by the video conferencing technology vendor Vidyo. Google started licensing technology from Vidyo back in 2008 when it first brought video chat to Google Talk, and the companies continued to cooperate when Google launched Hangouts and eventually absorbed Talk and other messaging clients in that platform. Talk and Hangouts relied on Vidyo’s implementation of the H.264 codec as well as the company’s scalable video coding technology, which essentially allowed Google to seamlessly switch to a lower bitrate in the case of network congestion. With the move to VP8, all of that is being replaced – but Vidyo CEO Ofer Shapiro actually seemed understanding of Google’s motives when I talked to him about the switch this week. “The need to install something is somewhat of a barrier” to the use of video chat, he acknowledged, adding that a royalty-free codec like VP8 was promising as well. That’s why, moving forward, Vidyo actually wants to support WebRTC and open video codecs. The company is announcing Wednesday that it will contribute client-side scalable video coding technology to VP9, the next generation of Google’s open video codec. Vidyo will also cooperate with Google to incorporate some of its technology into enterprise versions of Hangouts. Both companies haven’t said yet what exactly they’re working on, but it’s possible that Google would want to make more inroads in the corporate world to take on traditional video conferencing vendors. That pattern will likely repeat once Google moves Hangouts to WebRTC in a few months. 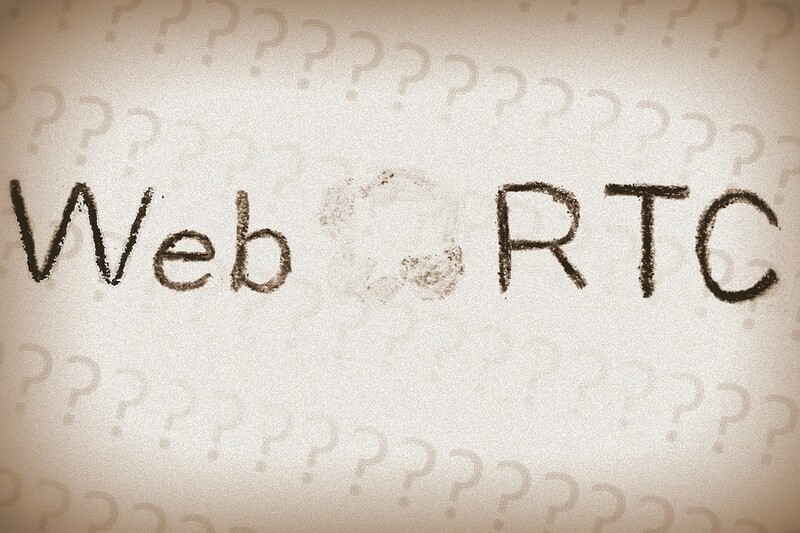 Chrome, Firefox and Opera support WebRTC natively, but Microsoft(S MSFT) has actually been trying to push for a different take on the standard that isn’t based on the VP8 video codec, and Apple (s AAPL) has given no indication that Safari will ever support WebRTC. “Some browsers will have the plugin to fall back on,” acknowledged Chew, but others will be able to run Hangouts completely without a plugin. Eventually, he hopes that all users will be able to start their video chats in their web browsers without the need to download any additional software. “The role of the plugin will diminish,” he said. Updated at 7:40am with additional details on the timeline for the HD and VP8 rollout. WebRTC logo image courtesy of Flickr user Tsahi Levent-Levi. the problem is with the fundamentals of google+, I have no clue where it starts where it ends, who sees my photos, posts? why I see posts of some random people ? and a lot of things like that, never feel warm for google + because of such reason plus I have no friend who actually use it. If cat whiskers and silly hats is what’s holding back a plugin-less environment using WebRTC please just scrap those silly cosmetics – I have dozens of users in non-administrator level Citrix terminals who need video chat sooner rather than later. Frankly, no plugins to install can’t come soon enough. Then don’t wait for Google! Mozilla Firefox and Google Chrome currently both support WebRTC, so you can use any WebRTC app to do this. From Twello Phone to something based on code from Hookflash. You can even let a webdeveloper add video and/or audio to an existing webapplication you already use. If you really have a hard time with this, you can even contact me if you like. VP8 strength relies in a quality very close to H.264 at the same bit rate, but with much lower processing needs. You won’t lose much at the same bandwidth, but VP8 will allow the use of higher resolution / bitrates and more streams on a wide range of hardware devices. Remember that with video conferencing you are limited by the slowest device on a conference and that a standard must be set not to exclude too many possible partecipants. It doesn’t matter that you have a super-PC if it’s a smartphone that is setting the bar for processing power. To sum it up, VP8 in effect enables higher resolution and more streams for a large number of clients, in the process improving your experience on your high end PC. B-frames are useless for Hangouts or any other interactive application. Most conferencing tools use either baseline or a constrained high profile (avoiding things like B-frames). Even if you’re right and VP8 requires less processing power, that’s irrelevant because it’s done on the CPU whereas H264 is built into all GPUs and thus uses less electrical power / leaves the CPU to do other things. true for H264 decoding , a bit more complicated for H264 encoding which is needed in vdeoconfernence. A step backwards, away from open standards to Google-controlled stsndards. H.264 is the most supported CODEC there is. theres nothing even remotely open about h.264. vp8 is as free as you can get, royalty free, patent free, open source, open design. Google probably has deep enough pockets to defend. The advantage of H.264 is the intellectual property rights are mostly known. Yea, “ikely” doesn’t equate to “definitely”. I love people that think just because someone sued someone else over IP/Patent stuff that the offending party is definitely in violation of something. Google won over Oracle. Novell (and basically Linux) won over SCO. What most people seem to not understand about H.264 is that it has a specific non-commerical clause and if you make money off anything you’ve encoded in H.264 you’re in violation of that clause and they can come after you. Granted they’ve said they won’t until like 2014 (or did they change it again?) but those rules can change anytime they’d like. I do not love people who assume a codec is freely useable just because no one is collecting royalties or because source code is in the public domain. Many businesses will prefer the known expenses associated with a royalty bearing license rather than run the risk of a lawsuit. Not that I am a fan of software patents, but as long as they are the law people should understand how they work. H.264 is proprietary to a consortium whose Apple is part. Do you trust Apple ? A full featured video chat experience without any plugins? Count me in! Thanks for the information. So, can I expect Google to use VP 8 for the upcoming Helpout product too? This is fantastic news… The barriers for using the hangout technology are starting to go away… now all that is left is to help the users really learn how to best use this Google+ hangout thing so that “the technology disappears”… myself and others have been helping in that area for a while and will continue to do so. Good move Google!